Design a T-Shirt for Chennai. The contest is open to all. The entries should reflect the spirit and uniqueness of Chennai. Entries should be submitted as a JPG or PDF file and to be emailed to – themadrasday@gmail.com. 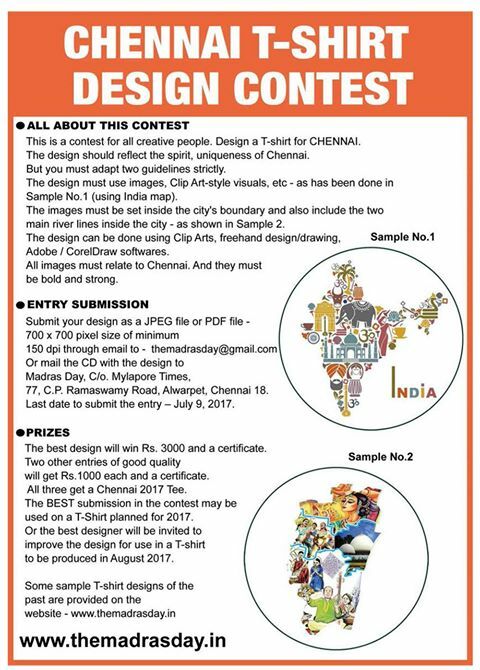 Apart from cash prizes for the best three entries, the best designer will be invited to improvise the design for Chennai T-Shirt 2017. For more details, refer the poster below.